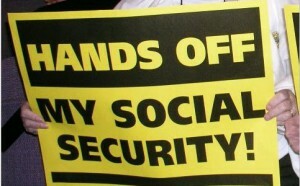 Social security is always imperative and it completed 75 years in 2010. It gave a lot of money to the senior pros in this span. If Congress doesn’t acts briskly, Social security will have to face financial problems by 2037. In 2011, an estimated amount of Americans that are not physically fit or got retired have got no increment in their social security benefits and this is now a couple of years on the trot. This shows that the social security department is facing some problems. Mobile apps expose personal information: is this true? With technology getting to a next level, mobile phone security threats are on the higher side. The threats can be related to malware or security issues within the applications. Recently, veracode conducted a complete analysis of some mobile phone applications that are being used in organizations and found out that these apps access personal data and stuff that is confidential. Moreover is allows access to the third party that is more alarming. The controversial Lifeline program that offers the so-called, “Obama-phone” to millions of low income families has been under fire since its inception. This news adds yet another aspect to be fought over in this continued heated debate. 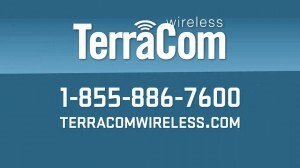 It seems that the safeguard of the personal information of those millions of Lifeline users, TerraCom and YourTel has not been much of a safeguard after all. 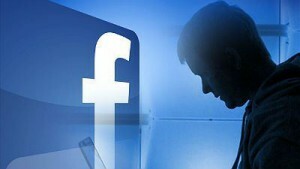 There are more than one billion users of Facebook worldwide. Most of those individuals that have a profile of some sort on Facebook really don’t pay attention to just how much information they put on their profile for anyone to see. Names, cities, old schools, friends, relatives, and dates of birth are all there for the world, or an amateur hacker to see. Recently, internet security experts from Rutgers University discovered a major flaw in the Facebook security with those who are using Hotmail addresses. This is how it works: Hotmail, the Microsoft email provider retires email accounts that have not been used for more than two hundred and seventy days. These ‘retired’ email addresses can now be reassigned to new users. 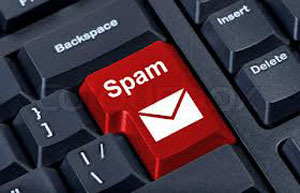 Rank amateur hackers can send a bulk load of emails to a range of Hotmail addresses. If the email they sent returns to them with an error message reading “Mailbox unavailable” it means they’ve located a retired Hotmail account. The hacker then creates another Hotmail account and requests the exact email that has been retired. They then log onto the users Facebook account using that email address and click on the forgotten password link. The FB servers send a reset request to the email address on file and voila the amateur hacker has gained access to information about you, your family and your friends. You may ask yourself why someone would do this. It’s simple, they pose as you online and send messages to your contacts as if they were from you. An old scam that has been used is posing as you in a situation where you are stuck at a foreign airport without identification and need money to get back home. There are other more current scams, but the last thing you want is people you know being scammed in your name. The study at Rutgers successfully hacked 15 Facebook accounts before stopping due to the risk of exposing them to lawsuits. This loophole will be presents at the Internet conference being held in Rio de Janeiro, Brazil. The DDoS (Distributed Denial of Service) attacks have become quite large both in terms of intensity as well as size. These attacks lead to a website disappearing from the face of the internet since it involves the bombarding of an IP address with huge volumes of traffic so as to disallow legitimate traffic to connect to it and to overwhelm the server. In a DDoS attack, the false traffic is generated from various sources but are orchestrated or controlled from a single location only. It becomes extremely difficult to prevent a DDoS attack since the traffic is often generated from IP addresses from all over the world. Recent surveys have also shown that these attacks have risen by as much as 22% in just 12 months and have also lasted much longer than the previous versions. The best mode of protection against DDoS attacks is by identifying these attacks as soon as they hit the site. The simple reason is that the faster they are detected, the quicker prevention measures can be implemented. Therefore, it is important that website owners familiarize themselves with inbound traffic so that it becomes easy to spot sudden changes. It is always advisable for site owners to have more bandwidth space than their sites are likely to need to be able to accommodate a sudden inflow of traffic due to random surges which might arise out of an advertising campaign or a press release. While this extra space cannot stop a DDoS attack, it definitely offers site owners a couple of minutes to protect their websites. A few steps which can help in a slight reduction of an attack id by limiting the rate of the router, adding filters to allow the router to drop packers which have been received from known sources of attack, dropping malformed or spoofed packages and setting lower ICMP’s and SYN’s. Those users who do not have their own servers should immediately call their hosting providers to inform them about the attack and ask for help. Most sites have a better chance of fighting these DDoS attacks if the site is hosted at a professional hosting centre rather than being self hosted. Moreover, this also helps in the protection of the corporate LAN services such as emails so that they can function normally during attacks. Most hosting providers choose a null route in case of a huge attack wherein they drop all traffic to the site before it arrives. In case of attacks which are quite large, the best chances of survival for most websites is to employ the services of specialized DDoS mitigation companies. These companies boast of huge infrastructure and highly qualified personnel and are better equipped to fight large scale DDoS Attacks. These services can be opted directly or through hosting providers.